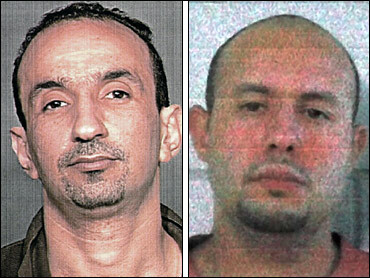 Acting at the request of prosecutors, a federal judge on Thursday threw out the terrorism charges against two men convicted last year. The government's change of heart, outlined in court papers Tuesday, came after a months-long court-ordered review of documents connected to the case. The Justice Department uncovered several pieces of potentially exculpatory evidence that should have been given to the defense before trial. In a 60-page memo that harshly criticizes its own prosecutors' work, the Justice Department told Rosen on Tuesday night it supported the Detroit defendants' request for a new trial and would no longer pursue terrorism charges against them.